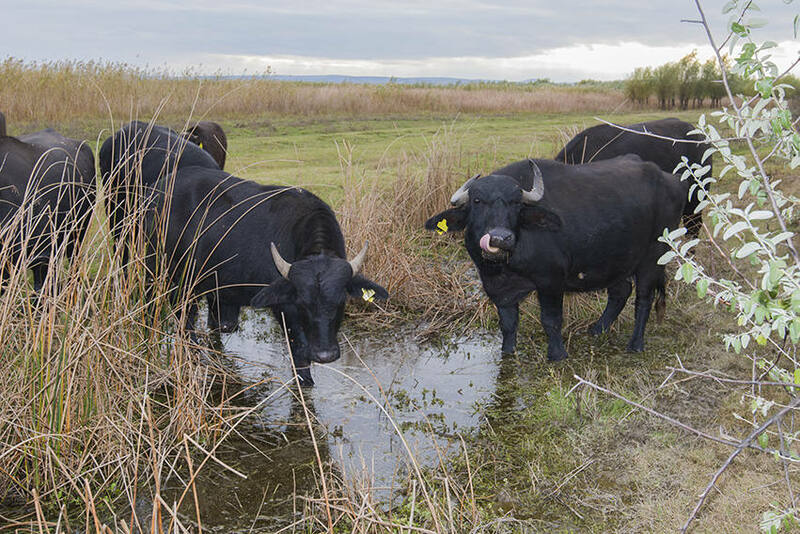 On the 18th of October, the True Nature Foundation together with the Centre for Regional Studies (CRS) and the Municipality of Orlovka, completed the first stage of a programme to reintroduce water buffalo in the Danube Delta ecosystem in Ukraine. The reintroduction is part of a project to ecologically restore natural processes in the Danube Delta, a form of ecosystem restoration which is also called rewilding. 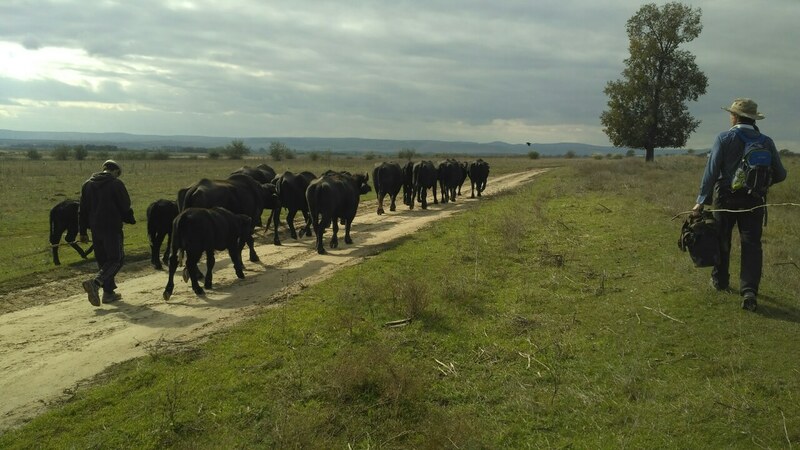 14 water buffalo were brought to the plains in the Orlovka municipality by Michel Jacobi, water buffalo expert from Transcarpathia. 6 water buffalo were donated to the project by the SAVE Foundation, while 2 animals were donated by Mr Grünenfelder and the Grovni Foundation. 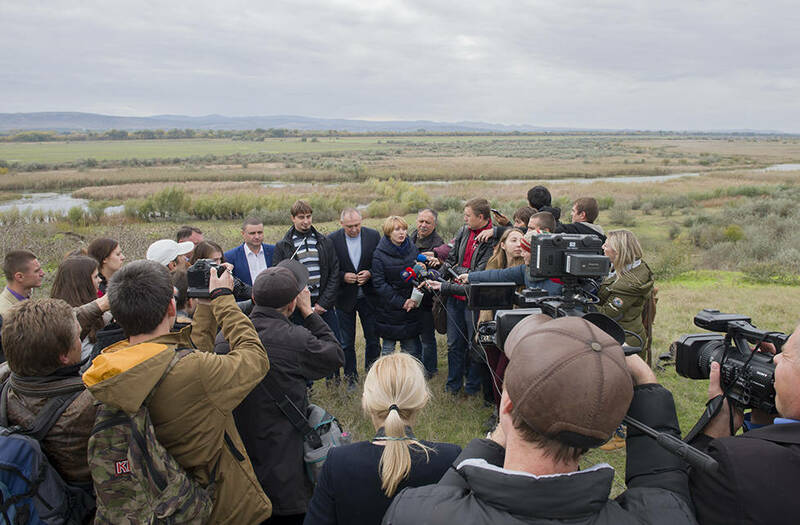 “These impressive giants will now become permanent residents in the Danube Delta and contribute to both ecological and economic development of the area”, says Igor Studennikov, director of the Center for Regional Studies. The second stage will be completed in early spring next year, when 8 animals will be brought to the 2500 hectare large Ermakov Island. This island has been rewilded in the last 12 years. Feral cattle and horses are already present on Ermakov. 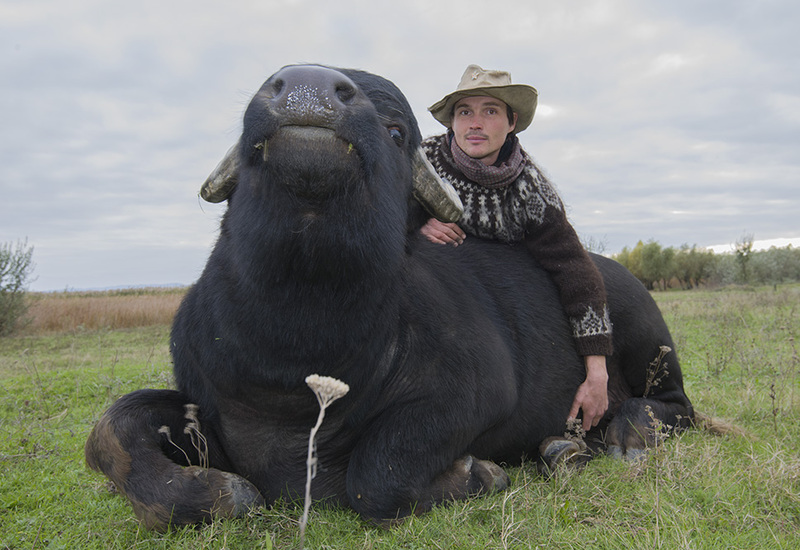 “Wild water buffalo have been known to be present in the Danube Delta after the last Ice Age according to archaeological remains”, explains Henri Kerkdijk, director of the True Nature Foundation. “In their domestic form, water buffalo have been present in the Delta until a few decades ago”. The water buffalo form an intricate part of the ecosystem of the Delta and they are considered a keystone herbivore species that creates new habitat and ecological niches for other native and endangered species, thus contributing to the restoration of the ecosystem. The reintroduction also provides new economic opportunities for regional communities, such as ecotourism. Both the national and the international press has picked up on the project. A press conference was organised by our project partner Center for Regional Studies (CRS) in Orlovka, on the 20th of October.